Observation - Kingfisher - UK and Ireland. Description: Kingfisher on a perch at a small nature reserve pond. 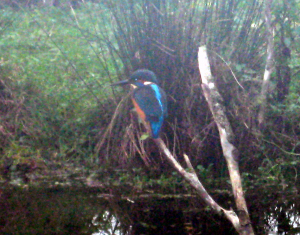 Kingfisher on a perch at a small nature reserve pond.